This unqiue knitted cardigan for women is traversed with cables and diamonds patterns. 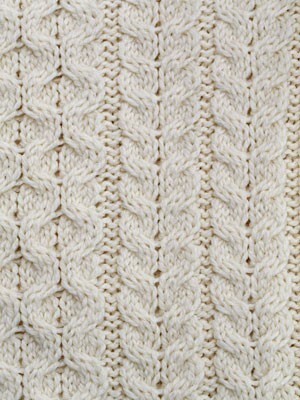 The V-neck and the edges of the button closure ends with ripples. 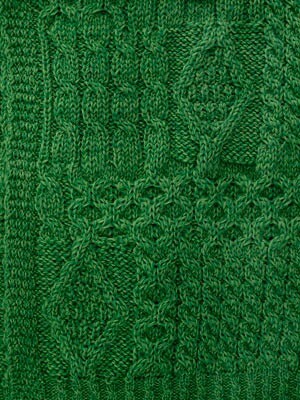 The cuffs and the bottom of this pretty lace knitting have indeed lined waves that recalls the shape of a scallop. Very feminine, this model hanger slightly the size.